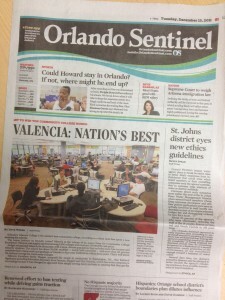 This is Valencia’s resource for faculty and staff featuring background material on the award that elevated Valencia to the forefront of the national conversation on higher education. 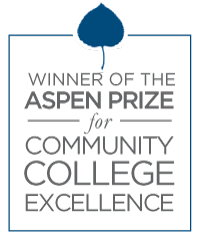 Scroll down to learn more about the Aspen Prize for Community College Excellence and how you can help spread the word. Order forms for Aspen Notecards and stationery are located in the “Employee Support” channel in Atlas. 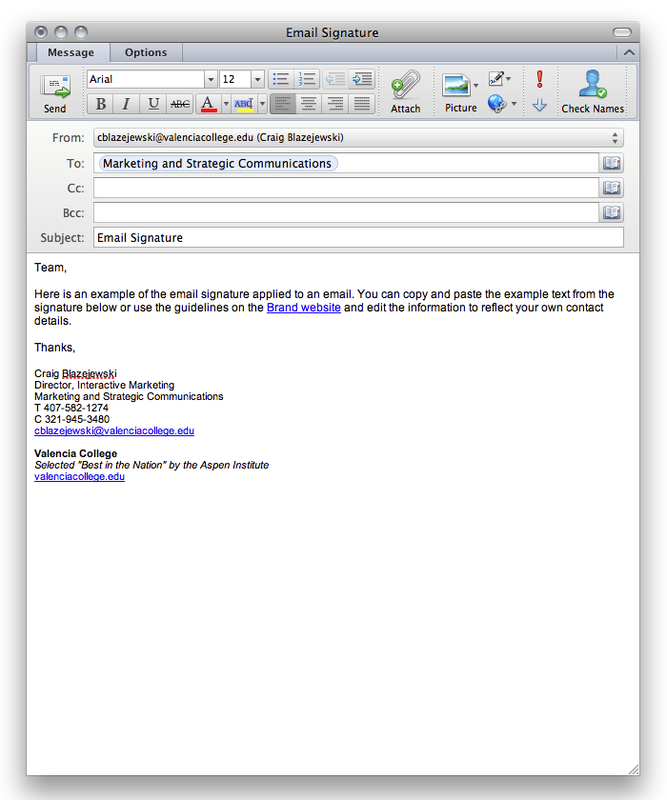 Follow these instructions to add the Aspen Prize mention to your Outlook email signature. 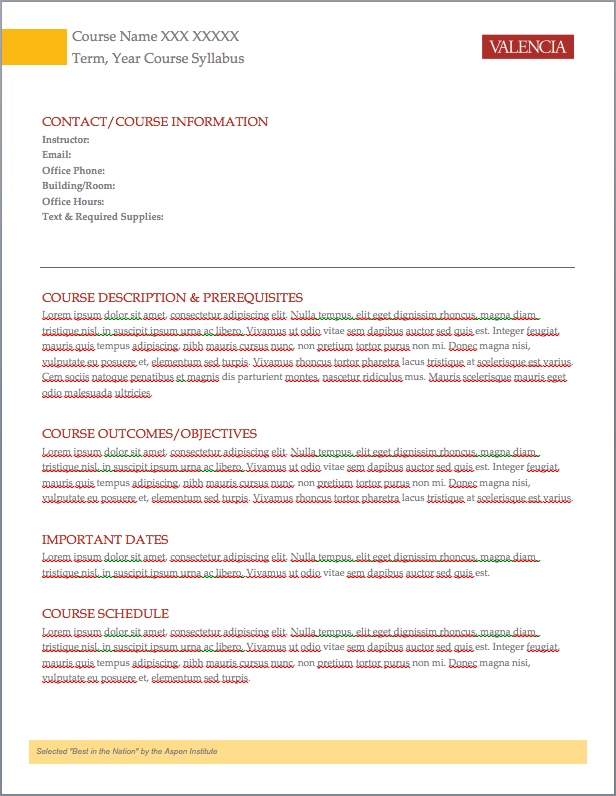 Follow these instructions to download the syllabus templates. Watch the video announcing the winner of the Aspen Prize for Community College Excellence as Dr. Shugart accepts the inaugural award on behalf of Valencia College. 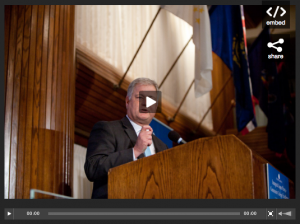 The Aspen Prize announcement was featured on NPR, the White House Blog and number of other major media outlets. The College Excellence Program aims to identify and replicate campus-wide practices that significantly improve college student outcomes. Through the Aspen Prize for Community College Excellence, the New College Leadership Project and other initiatives, the College Excellence Program works to improve colleges’ understanding and capacity to teach and graduate students, especially the growing population of low-income and minority students on American campuses. The purpose of the Aspen Prize is to recognize community colleges with outstanding academic and workforce outcomes in both absolute performance and improvements over time. 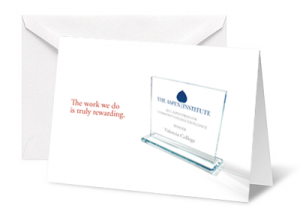 By focusing on student success and lifting up models that work, the Aspen Prize will honor excellence, stimulate innovation, and create benchmarks for measuring progress. Read more about how the Winner and the Finalists with Distinction of the Aspen Prize for Community College Excellence strive for and achieve exceptional levels of success for all students, while they are in college and after they graduate.